I HAVE COMPLETED NEW REAL ESTATE DEVELOPMENTS OF OVER $1,200,000,000 - THAT'S OVER 1,000 CONDOS, TOWNHOUSES, OFFICE BUILDINGS, INDUSTRIAL BUILDINGS, SUBDIVISIONS, AN INTERNATIONAL HOTEL & RESORT. THROUGH MY CONFERENCE ROOM WE MEET AT A "FREE" WEEKLY REAL ESTATE DEVELOPMENT "QUESTION & ANSWER" SESSION. IT HAS NEVER BEEN DONE BEFORE, BUT MY READERS FIND IT VERY HELPFUL - SO I DON'T LEAVE YOU ON YOUR "OWN" AS SOON AS YOU BUY MY E-BOOK. SEE LINK ON TOP LEFT OF THIS PAGE TO BOOK YOUR SEAT. When you search for information that teaches you new real estate development; that's "How You Actually Do It," as all of my students find, there is nothing on the web until I wrote my E-book. 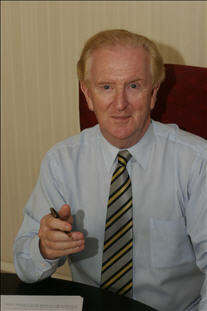 Now if you search Google for my name, Colm Dillon, (NOT EVEN THE NAME OF MY E-BOOK) you'll get 284,000 web page results in this highly specialized niche recognising me as an authority on this subject of new real estate development. Now $1.2 Billion of new real estate developments and 30 years later I am, what some people might call semi retired, but am as busy as ever teaching new real estate development to positive people, all over the world. So that is how I got started in this fantastic new real estate development business. It is hard to tell you in a few words just how good it is, when done correctly. If you want to learn about new real estate development, (in some places they prefer the words property development) ... if you want to learn about new real estate development, you are going to come up very short indeed if you look in the library or on the web. The answer is simple. The guys 'who know' about new real estate development are too busy making money from development and prefer to leave buildings behind them, not instruction books ... besides, many think, "I learnt the hard way; you can as well!" Colm, I live in Cape Town, in Sydney, in Toronto, in LA, in Birmingham ... wherever ... will your new real estate development e-Book work where I live? After all, you live in Australia! As long as you live in a Free Enterprise economy, then the way we go about new real estate development is the same everywhere. Can I buy your new real estate development e-book in hard copy? The fact is that there are a limited number of people interested in learning about new real estate development in any individual location around the world. Example: How many people do you know who are "knowledgeable about", or even "really interested" in new real estate development. So my friends, people who want to learn 'new real estate development' are very thin on the ground ... and why not, entrepreneurs who 'take charge of their lives and make things happen ... are thin on the ground in any city or country. You've developed $1.2 Billion worth of projects ... I only want to develop small projects. I'm worried that your new real estate development e-book might be over my head ... a bit to complicated. The fact that I've developed $1.2 Billion worth of property for Publicly Listed new real estate development companies give me that base. Can I print your new real estate development e-book? Most people go into new residential real estate development on a ‘search & explore' basis; where just about every mistake costs them $Thousands. I want to thank you for taking the time out and producing this material. Helping people like myself just starting out. I think the wisdom contained in your new real estate development e-book has undoubtedly saved me from making many mistakes - translating into not only saving $$ but more importantly saving time. 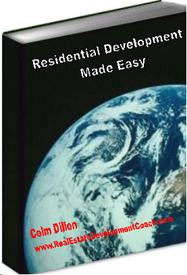 You see most people don't realize that new real estate development has processes and procedures to be followed ... in fact, in my e-book, I believe for the first time ever, I have created a "Road Map" for you to follow. (Really it's a Development Work Flow Chart). And that is how you get your new real estate development finished at 'Z' on your real estate development 'Time Line'. Does that make sense to you? And that is how a big new real estate development or a small one is finished on time and on cost. Let's Get To Your Specific New Real Estate Development Needs.